A classic Bavarian Lady Costume; this outfit has a long-length skirt bottom to appeal to most, included are Dress, Apron and Headband making this ideal for Oktoberfest themes! This traditional Bavarian Lady Costume has a twist in the form of it having a longer skirt, allowing most people to feel comfortable when attending a Beer Festival/Oktoberfest or Around the World fancy dress occasion. Included in this outfit are Dress, Apron and Headband. The dress has a V-neck style neckline and a black corset front, which is tied together with a vibrant red ribbon. The long length skirt bottom measures just above the ankle and is in a gorgeous red satin style material. The bottom of the skirt has a tutu frilled bottom. 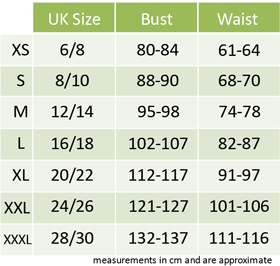 A small white apron goes around the waist; this has a bright laced edging. Completing this stunning Bavarian Lady Costume is the cute white fluffy headband which perfectly adds the finishing touch. 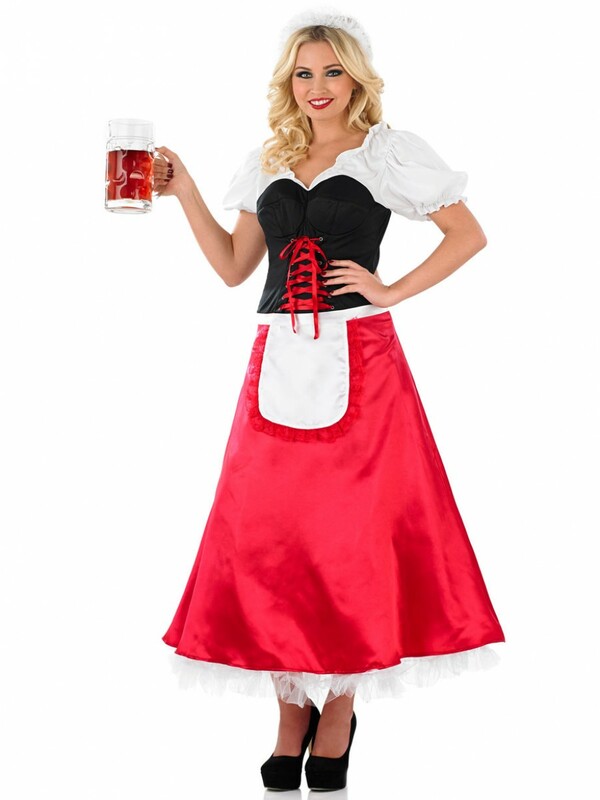 A perfect couples costume when partnered with a Bavarian Man; this Bavarian Lady Costume is ideal for any Around the World/Beer Festival or Oktoberfest theme! Available in Small, Medium, Large, X1, and X2.